Strona główna » Rodzaje usług kominiarskich » Worker of Industrial Alpinist Services painting chimney on the roof with paint spray gun. Professional climber wearing uniform, helmet and using safety harness. Risky job. Extreme occupation. 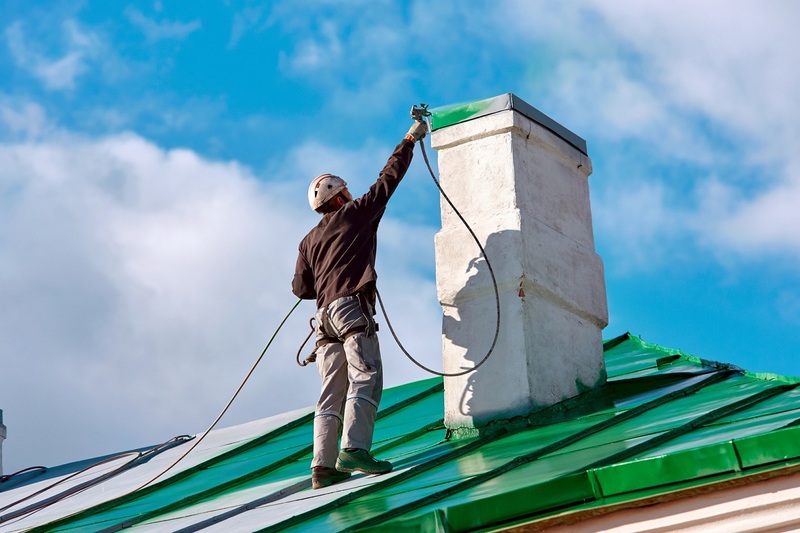 Worker of Industrial Alpinist Services painting chimney on the roof with paint spray gun. Professional climber wearing uniform, helmet and using safety harness. Risky job. Extreme occupation.